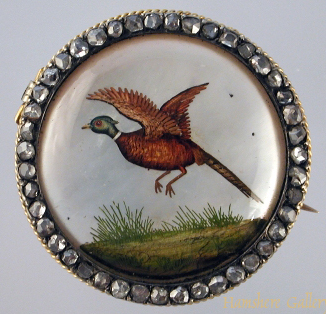 Reverse intaglio crystal brooch of a pheasant is 15 carat gold set with rose diamonds. English, circa 1880. Reverse intaglio crystals are commonly and erroneously often called Essex Crystals.